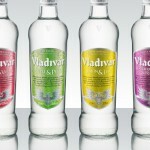 The Union has helped develop four new flavoured vodkas for Whyte & Mackay owned Vladivar. The Apple & Pear and Raspberry & Vanilla variants are currently available in selected Tesco stores. The new packaging and all promotions were designed by The Union. All Vladi excellent.